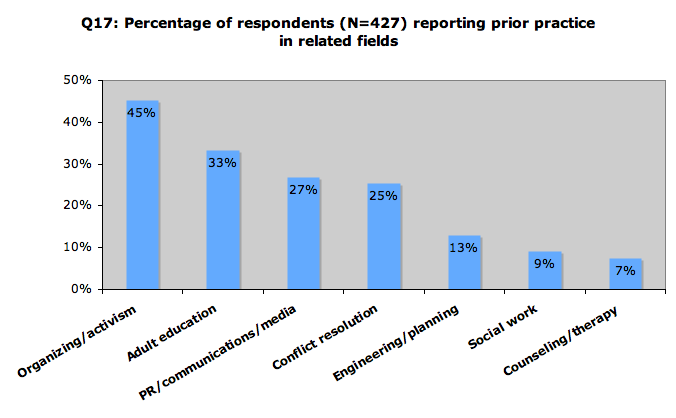 Entering the Field | The 2009 Dialogue and Deliberation Practitioners Survey: What is the State of the Field? 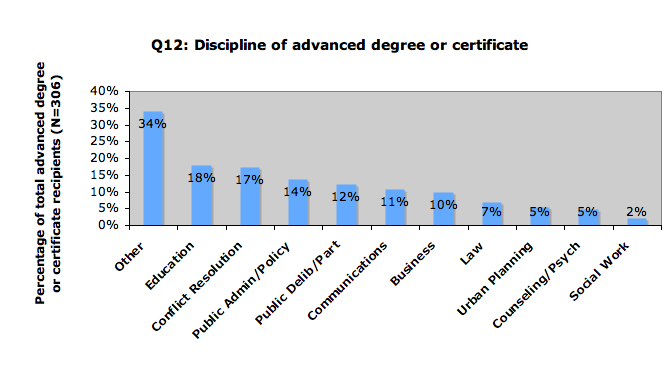 The 2009 Dialogue and Deliberation Practitioners Survey: What is the State of the Field? This page provides information about the timing of respondents’ entrance into the field, their background and preparation, and their training experience. Please see the Discussion page to discuss these results. Seventy-two percent of respondents have participated in at least one training program. Those with training experience had participated in 2.4 training programs on average. 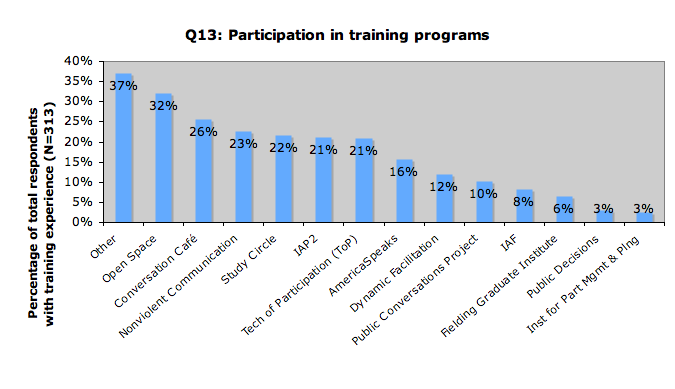 The most common trainings in the “Other” category were National Issues Forums trainings, alternative dispute resolution and conflict resolution trainings, group process trainings, Future Search trainings, and Appreciative Inquiry trainings. Click HERE to go back to the top of the page. Click HERE to discuss these results. 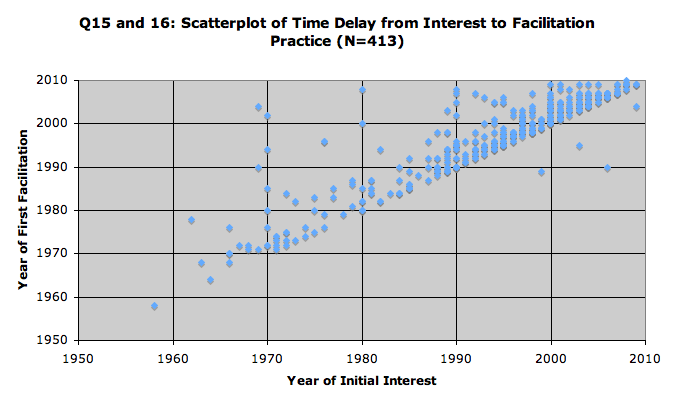 Pingback: Current Statistics about the Field of Dialogue and Deliberation « AthenaBridge | Intelligence, connected.